The region is growing rapidly with employers looking to hire hundreds of talented workers in a wide range of industries. Check out the great employment opportunities that fit your expertise and interest. The College of Southern Idaho offers an extensive range of skills training and education opportunities to advance your career. Keep connected with fellow young professionals. 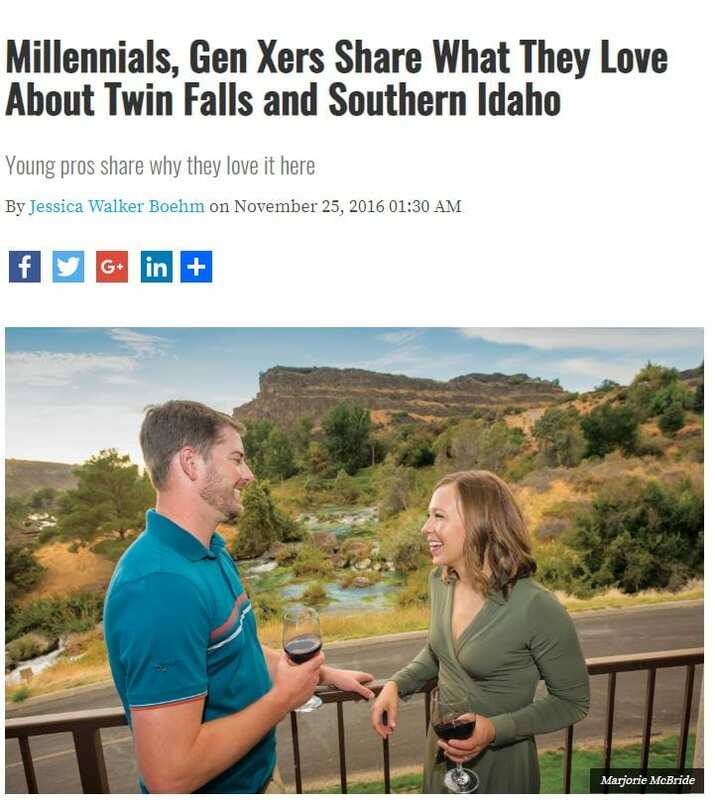 Twin Falls is becoming a popular community for millennials and gen x’ers to live and work. Here’s what they love about living here. Twin Falls offers a wide range of ready-to-work talent with a broad range of skills, skills training and education. The Magic Valley’s strong economy and focus on steady and healthy growth were two major factors in our decision to return home. There are opportunities in every direction, and the local community encourages innovation, imagination and entrepreneurial spirit.